You are at:Home»BRAVO TV HOUSEWIVES BLOGS READ TO YOU»Real Housewives Of New York Audio Blogs»RHONY – Season 10 EP1/2 – Bravo Housewives Audio Blogs! We are so excited to continue bringing you Bravo fans the blogs of the housewives… read to you by us! As many of you know we used to do comedic video recaps of your favorite Bravo shows weekly! In preparing for those shows I would read the Real Housewives blogs over on the Bravo TV website… the thing is it always took me forever! The pages took so long to load, were full of ads and well sometimes I just didn’t want anybody to see me reading them! I would get frustrated and recite my mantra, “I don’t read… I’m read to”! That’s when it hit me… I should create a podcast where I read the housewives blogs for you all! Plus I can comment here and there and put my comedic twist on them as I go. 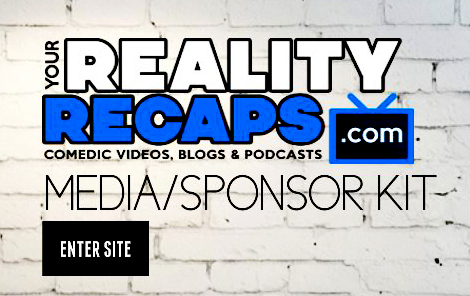 If you want EVEN more content from The Real Housewives, Game Of Crowns and MANY other Bravo shows then check out our BRAVO PAGE for vlogs, blogs, comedic recap shows and the bravo blogs of other shows read to you from past seasons! Previous ArticleBBCAN6 Aman’s Mid-Season Catch Up! YES please do other Housewives Blogs. I love Potomac, Dallas & all others. Great job on this first one. Thank you so much for bringing back the RHONY audio blogs! I loved them! Can’t wait for more!